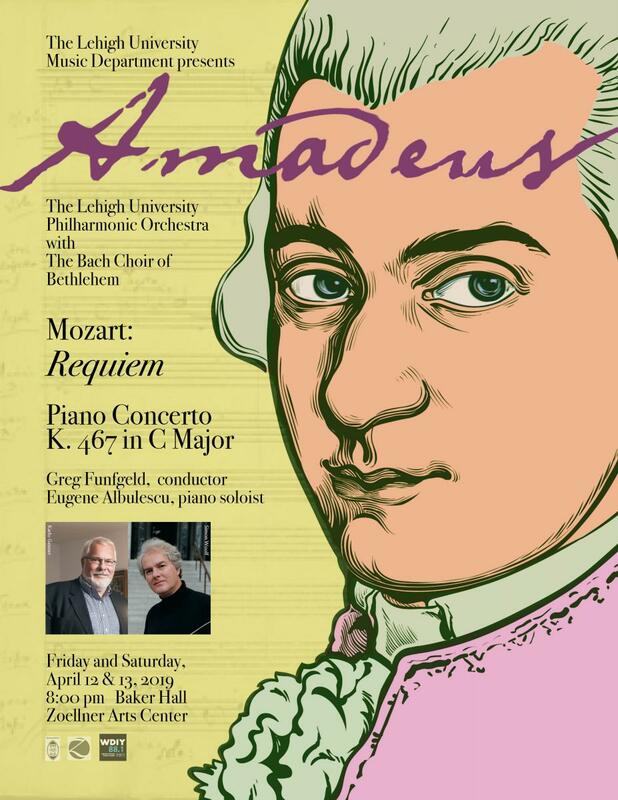 Guest Conductor Greg Funfgeld helms an exciting celebratory collaboration between the LU Philharmonic and the Bach Choir of Bethlehem, performing (mostly) Mozart! The composer’s searing Requiem will feature acclaimed soloists Kendra Colton, Laura Atkinson, Benjamin Butterfield and Dashon Burton. LU Phil Director Eugene Albulescu will also join the performers onstage as piano soloist for the beloved Piano Concerto No. 21 (“Elvira Madigan”). LU Philharmonic accepts LU students, as well as community members from Lehigh and beyond. Auditions are held before Sept. 1.